The Hausmann Industries Height Adjustable Parallel Bars are medical training devices designed for patients undergoing exercise, physical and rehabilitation therapies to regain strength, balance, and range of motion. Safe and Durable. Featuring a satin-finish hardwood platform, the Height Adjustable Parallel Bars have tapered hardwood ends for hassle-free wheelchair access and two (2) "anti-slip" treads on each end to prevent slips and falls. The uprights and fittings are coated with heavy gauge black powder. With the New Secure Lock System, the sturdy uprights are even more stable and it telescopes up in 1 ½” increments which lock into 10 different height positions with fail-safe ball-tip locking pin. 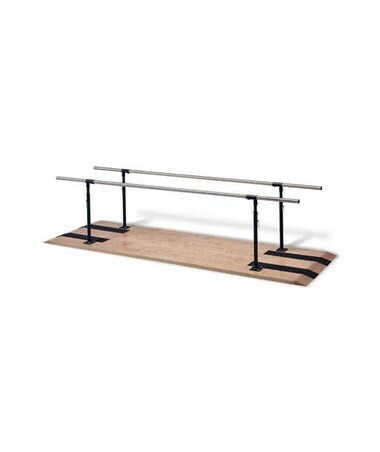 Its handrails are constructed with 1 ½” diameter one-piece stainless steel for optimal durability and ease of use. The 3mm top edge is made for added strength and sturdiness. 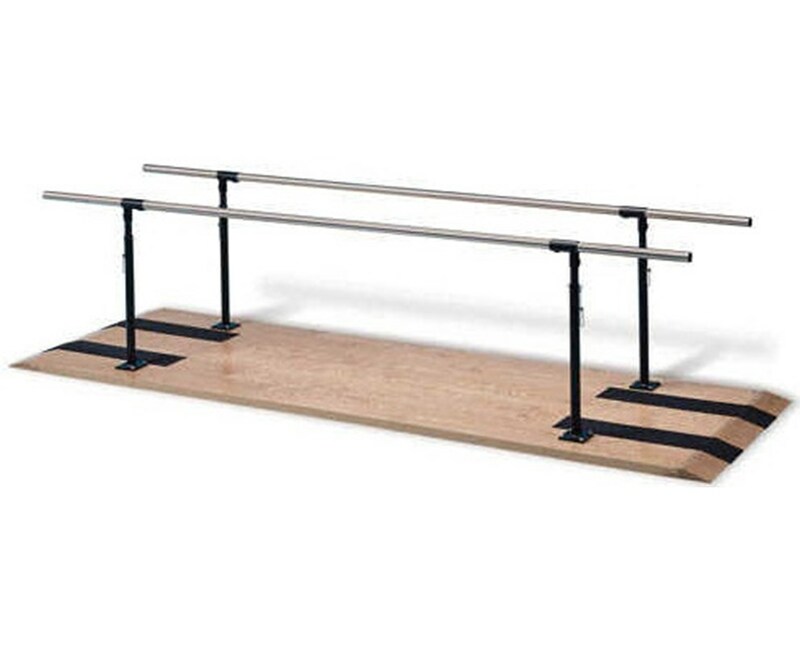 The Hausmann Industries Height Adjustable Parallel Bars come in a size of 10' L x 26" W x 28" - 41" H and a weight capacity of 400 lbs.